Our body is made by what we ate. How do you consider about your family meal? Is it safe?? Is it healthy?? What is definition of “safe” or “ healthy”… We believe that all definitions is in “Experience”… Experiences is necessary to have right decision. Come and join our “Farm Tour” and experience together!! This is Farm Tour website around Hamamatsu, Shizuoka area. You will see up coming farm tour and also ended tour as well. All farm tour has English translator so feel free to join and enjoy! If you have any questions, you can ask to “CONTACT” in English. 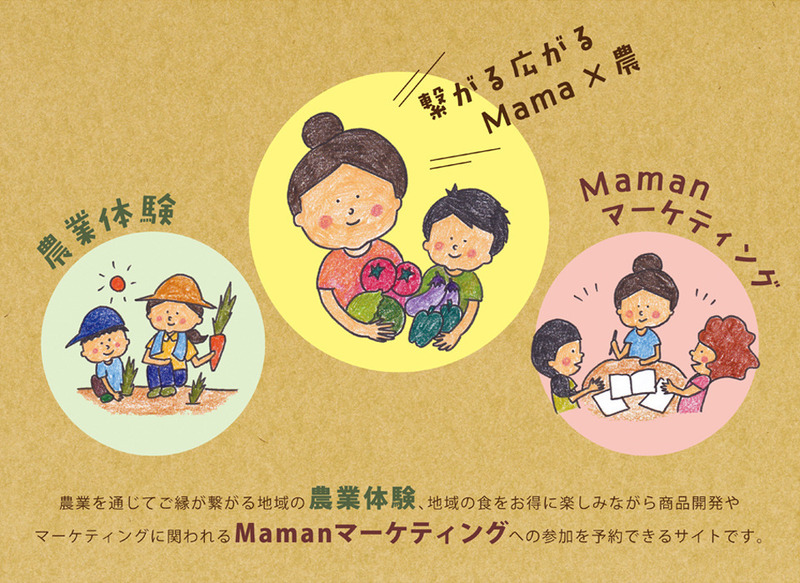 We have mamas’ community for marketing projects. We call “Maman Meeting”. All mams can find their own position in field of agricultures. This is meeting for mams and every mams can join and have fun with us. We consider traceability for all types of agricultural products. Where is the vegetable comes from, made by, what kind of method they use, what the farmers believe in, and their philosophy etc… There are our partners farmers we call as “Productors”. We will give the chance to meet all our productors. What is PRODUCTORING Co., Ltd.